Nice big room last week as we had Advancers and Explorers in the one room. As I said on Saturday, we will continue to combine the both groups for the next two weeks. 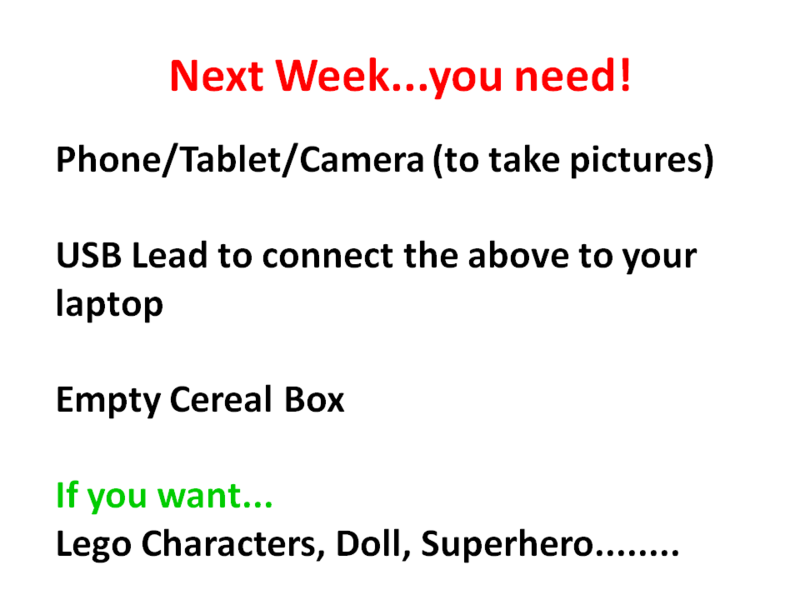 We are starting Stop/Start Animation this coming week and if you could bring some or all of the following it would be helpful.